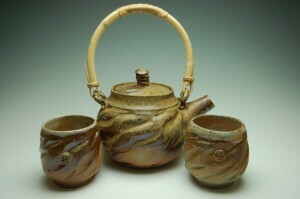 Pottery by Jeremy Sims tea set. Pine Ridge Productions, Inc. of West Chester, Pennsylvania was incorporated in 1996. The company was started by artist/art publisher Nicholas P. Santoleri. The original goal of Pine Ridge Productions Inc. was to publish and distribute the artwork of Santoleri and other artists. Now that the internet revolution is upon us, our goals and aspirations have expanded. We see ourselves evolving into a major facilitator in the art market, providing an electronic marketplace for talented artists to present their work to the art buying public. We intend to fill hundreds of online galleries with the fine art of reputable quality artist. A Call For Artists – If you are an artist of high recognition and reputation, have quality reproductions of your work (printed on archival paper with archival inks), and believe that you should be part of this project please contact us and we will review your work. If you want us to consider your original artwork for this site, we must see and inspect it in person.